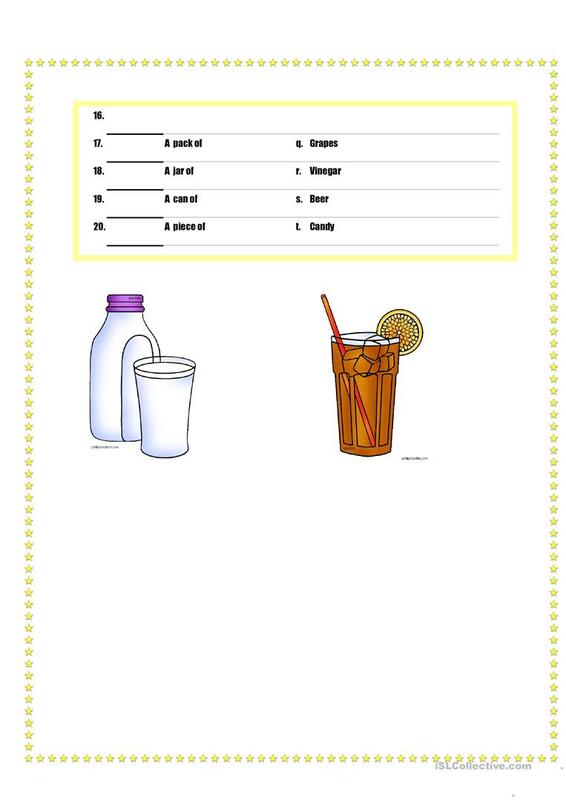 Simply match the letters to the correct quantity of food or drink. 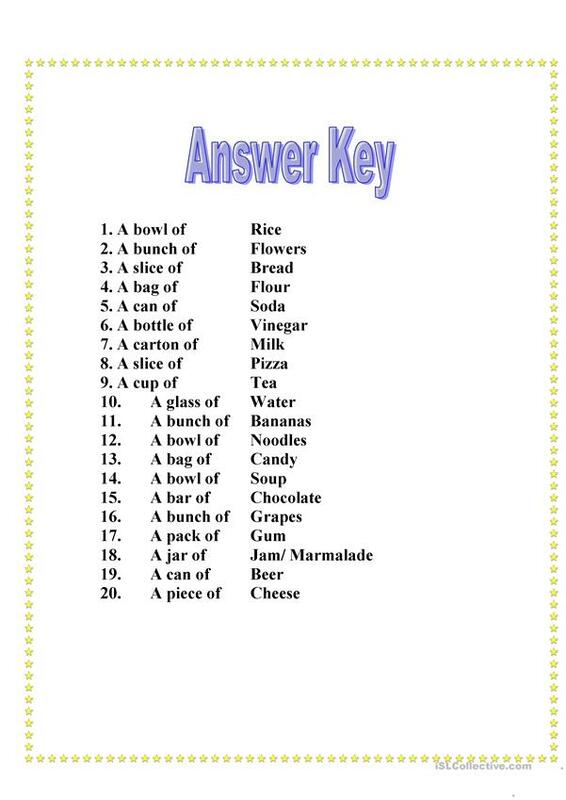 Answer key is added to this . The present downloadable handout is meant for business/professional students, high school students, elementary school students and adults at Elementary (A1), Pre-intermediate (A2), Upper-intermediate (B2) and Advanced (C1) level. 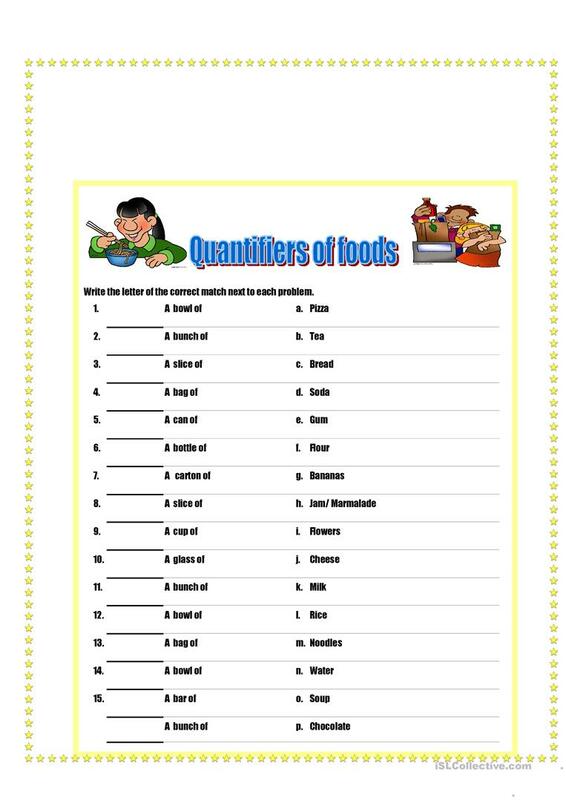 It is aimed at revising Quantifiers (e.g. some, many, much, any, few, little) in English, and is excellent for developing your students' Listening, Speaking, Reading and Writing skills. It features the topic and words of Food. flynny is from/lives in United Kingdom and has been a member of iSLCollective since 2011-01-22 06:18:38. flynny last logged in on 2019-03-31 06:43:50, and has shared 9 resources on iSLCollective so far.